Even in conventional military terms, China's assistance to Pakistan falls well short of what one might expect of an ally (which, incidentally, the two nations are not: no formal alliance has ever been signed). China has never intervened militarily in any of the three major wars or the numerous lower-level conflicts between Pakistan and India. Even in 1965, just three years after China fought (and won) its own war with India, Beijing declined to send its troops into action on behalf of its “brother.” Of course, China has been Pakistan's most consistent supplier of military hardware: Since Pakistan's founding, China has sold the nation a greater percentage (39 percent) of its arms than any other country (with the United States coming in second at 24 percent) and has been the top supplier for nine of the last 15 years. Indeed, since 1964, Pakistan has been the only nation to which China has sold arms every single year—and China is the only nation from which Pakistan has bought arms every single year. But quantity is no substitute for quality: Pakistan has always preferred high-tech U.S. weapons systems over less advanced Chinese kits whenever it has been able to acquire them. If China's deliverables to Pakistan are somewhat less impressive than advertised, Pakistan's deliverables are far more nebulous still. The most important service Pakistan provides is its mere existence. From China's perspective, having a strong adversary on India's western flank helps prevent a challenge from Asia's other rising nuclear-armed power with a billion-plus population. 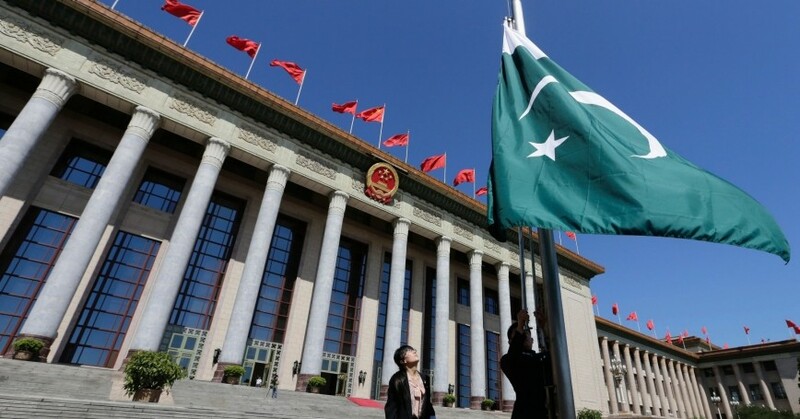 Another benefit from the relationship is well-known to security analysts but spoken of only in whispers: Pakistan has provided China with access to U.S. and other Western military technology that Beijing's scientists have then reverse-engineered. During the later stages of the Cold War, much of this covert technology transfer was tacitly permitted by the United States, as a way of solidifying its own budding relationship with Beijing and putting pressure on the Soviet Union. In 1982, for example, the Central Intelligence Agency warned that if the AN/ALR-69 radar warning system was sold to Pakistan as part of the F-16 fighter jet package, the United States should expect Pakistan to transfer this sensitive technology to China. Ultimately, the sale was approved. And in the seven years that followed, China, Pakistan, and the United States would work hand in glove to support the anti-Soviet mujahideen in Afghanistan. Once the Cold War ended, so too did the United States' wink-and-nod policy toward Pakistan's transfer of Washington's technology to Beijing. These transfers, however, have continued ever since. One vital service Pakistan provides to China is seldom given the recognition it deserves: the role of a middleman. One vital service Pakistan provides to China is seldom given the recognition it deserves: the role of a middleman. The People's Republic of China relied on Soviet Russia as a conduit for global engagement during its earliest years and was largely a diplomatic hermit for most of the 1960s and 1970s. Even after Chinese leader Mao Zedong was succeeded by Deng Xiaoping, China began to engage the wider world with cautious deliberation. Throughout this period, Pakistan acted as a key interlocutor: Indeed, it was Pakistan that facilitated the strategic breakthrough between China and U.S. President Richard Nixon in 1972, and it was Pakistan that served as intermediary between China and the greater Muslim world. This interlocutory role was especially important in the 1990s and 2000s as global Islamist movements rose and Beijing had to grapple with unrest among the Uighur population of Xinjiang province. 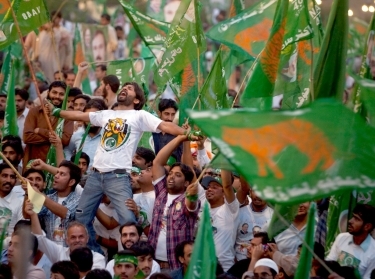 Pakistan serves as the home turf of powerful Islamist movements, such as Jamaat-e-Islami and the Jamiat Ulema-e-Islam/Fazlur, making it a natural sanctuary for co-religionists across the border. As covert patron of violent groups including the Quetta Shura Taliban, the Haqqani Network, and Lashkar-e-Taiba, Pakistan's spy service has considerable power to influence where these groups expand their operations. China has relied on Pakistan to help broker deals with such Islamist groups (including the Taliban) and to apply the right amount of pressure to ensure these deals are kept. Owing in part to these arrangements, the Uighur movement has never figured prominently in the global jihadist narrative, and none of the major international terrorist organizations have conducted operations inside of China. What will the future of the relationship look like? One facet that receives surprisingly little attention from policy analysts is the extent to which both parties are intensely interested in airpower cooperation. The roots of this mutual interest go back to 1963, when Pakistan became the first nation outside of the Communist bloc to establish civil aviation links to China. Both nations' military establishments are dominated by the heads of their armies, but to a noteworthy degree, the Sino-Pakistan friendship has (in terms of conventional arms) been of greatest benefit to the two air forces. China's desire for Western aircraft technology became apparent soon after the opening of relations between Washington and Beijing. Just two years after the Pakistan-brokered meeting between Nixon and Mao, the United States tacitly endorsed the United Kingdom's sale of 50 Spey fanjet engines to the People's Liberation Army Air Force (PLAAF), along with a factory to produce many more. When the United States began selling F-16 fighter jets to Pakistan in 1981, China was particularly interested in gaining access to a top-of-the-line aircraft that had previously been offered to only the very closest U.S. treaty allies (notably consisting of NATO partners and Japan). F-16 avionics and other associated technology have continued to be of such great interest to China that the United States, in order to decrease the risk of technology transfer, has insisted that some of Pakistan's more advanced F-16s be segregated from other parts of air bases where Chinese technicians have access. Even further, Washington has insisted that particularly sensitive upgrades and maintenance be performed at sites outside of Pakistan entirely. Perhaps the highest-profile episode of suspected U.S. aviation technology transfer to China by way of Pakistan happened in 2011: Following the raid on Abbottabad that killed al Qaeda head Osama bin Laden, U.S. intelligence officials charged that Pakistan's spy service granted Chinese military technicians access to a downed Black Hawk helicopter and permitted them to take samples of the aircraft's skin, which contained state-of-the-art stealth technology. As much as China has gained in aviation technology, Pakistan has gained more. In 1999, Beijing and Islamabad agreed to coproduce the JF-17 Thunder (alias FC-1 Xiaolong/“Fierce Dragon”), a multipurpose combat aircraft that Pakistan hopes will replace most of its older fighters and certain other aircraft. The first two, out of an expected production run of 250, were built in China and delivered in 2007; Pakistan hopes to build and assemble an increasing percentage of these at home, both for its own use and for export. At the 2015 Paris Air Show, Pakistan claimed it had sealed a deal to export a JF-17 to a third nation (reported to be Myanmar, also called Burma) and was in discussions with 11 other countries to do the same. The prospect of Pakistan becoming a supplier, rather than merely a purchaser, of advanced fighter aircraft would represent a major victory for Pakistan's military and air force. China has not merely contributed technology to the effort but has also reportedly sought to open doors to friendly states in Africa, Asia, and Latin America. In 2009, Pakistan signed a deal to purchase 36 of China's more advanced fourth-generation fighter, the J-10. Observers have noted that Pakistan's two unmanned aerial vehicles, the purportedly indigenous Burraq and Shahpar models, bear an uncanny resemblance to China's Rainbow CH-3. Moreover, when Pakistan provides China with Western technology, both nations benefit. After the 1998 U.S. attack on an al Qaeda camp in Afghanistan, at least one Tomahawk cruise missile went off course and landed in the desert of Pakistani Baluchistan. Several more were believed to have been sold to China by the Taliban, presumably with Pakistan's facilitation. These were soon reverse-engineered to produce both the Chinese DH-10 and the Pakistani Babur cruise missiles. 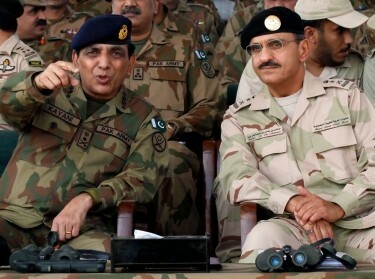 Pakistan's ballistic missile program, including the Chinese-inspired short-range Shaheen I and medium-range Shaheen II, rests in the hands of its army. The PLAAF deploys an air-launched version of the reverse-engineered Tomahawk (the KD-20), which gives China's air force the range to target Hawaii. In the years ahead, these areas of cooperation may be harder to police or even to detect. China already enjoys an increasingly good grasp on military hardware and is most interested in catching up on software capabilities. The types of technology it most wants to acquire—those involved with avionics and the miniaturization of ballistic missile engines—tend to be located not in a high-security factory, but rather inside an engineer's brain. For this reason, one Indian air force official with knowledge of the China-Pakistan air force relationship (who declined to speak on-the-record) expressed less concern over the transfer of hardware than of ideas. There are significant impediments to a full-fledged Chinese-Pakistani alliance. The first of these is China's historic aversion to the very concept of alliance. The PLAAF has had very few substantive exercises with other air forces, but it trains alongside Pakistan's military pilots every year in a multidimensional joint exercise known as Shaheen. Despite decades of close cooperation, however, there are significant impediments to a full-fledged Chinese-Pakistani alliance, and these barriers may rise higher in the coming years. The first of these is China's historic aversion to the very concept of alliance. An alliance implies symbolic equality between the partners, rather than a patron-client relationship, for example. Prior to the mid-twentieth century, Chinese statecraft fell into the patron-client model, and since that time, China's brief experience with alliances has consisted primarily of Maoist-era pacts with Communist nations such as North Korea, the former Soviet Union, and Vietnam. Beijing denounced the Soviet leadership as “traitors” just 11 years after its alliance was forged, found itself fighting with Vietnam in 1979, and continues to abide by the Kim dynasty in Pyongyang largely because it cannot devise a way to cut North Korea loose. Additionally, the cultural distance between China and Pakistan isn't shrinking; it may well be growing wider. The two nations' officials still rely almost exclusively on interpreters for communication, and when they are able to converse directly, the language in which they speak is likely to be English. With Beijing increasingly seeing Islamist radicalism as a top-order threat and Islamabad finding itself unable to control groups such as the Tehrik-e Taliban Pakistan within its own territory, this ideological mismatch is likely to expand. Last, and perhaps most important, the transactional side of the Chinese-Pakistani security relationship may have passed its peak. Now that Pakistan has a freestanding nuclear arms program and a range of ballistic missiles capable of delivering warheads, it has less need of Chinese security assistance. China, too, is far less reliant today on Pakistan as a conduit for Western technology than it was during the 1970s, 1980s, and 1990s. As the Office of Personnel Management and other hacking scandals have shown, if China wants Washington's military and intelligence secrets, it can often acquire them through a series of keystrokes rather than cables to Islamabad. This commentary originally appeared on Foreign Affairs on October 15, 2015. Commentary gives RAND researchers a platform to convey insights based on their professional expertise and often on their peer-reviewed research and analysis. Jonah Blank, Christopher Clary, et al.